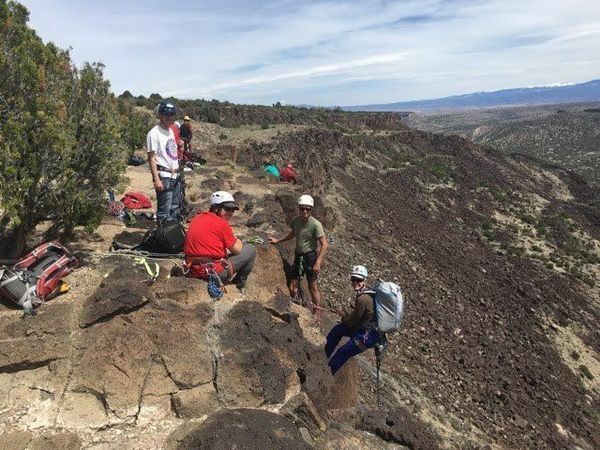 The NM Mountain Club’s Technical Rock Climbing Section hosts rock climbing outings throughout the year, and conducts a technical rock climbing school in the spring for potential new enthusiasts to the sport. In addition to general club dues, members of the Rock Climbing Section must pay an additional annual $20 equipment fee. 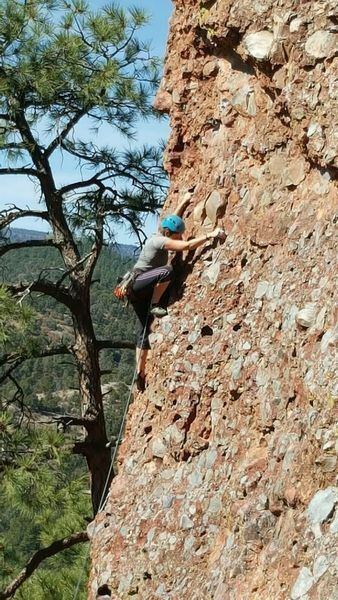 2019 Climb School is full; registration is closed. To be added to the wait list for 2020, email nmmcclimbing@gmail.com. 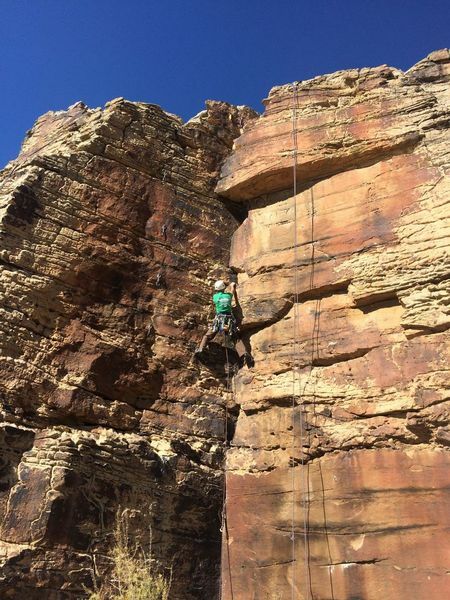 Please note that climb school is not a prerequisite to attending our regularly posted outings! 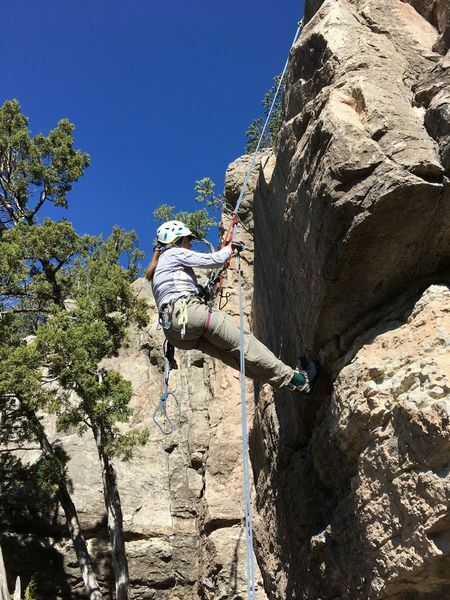 The NM Mountain Club hosts an annual climb school open to all members which teaches climbing basics including: knots, rope management, rappelling, self-rescue, etc. The school is held in the spring with registration occurring at the February club meeting. 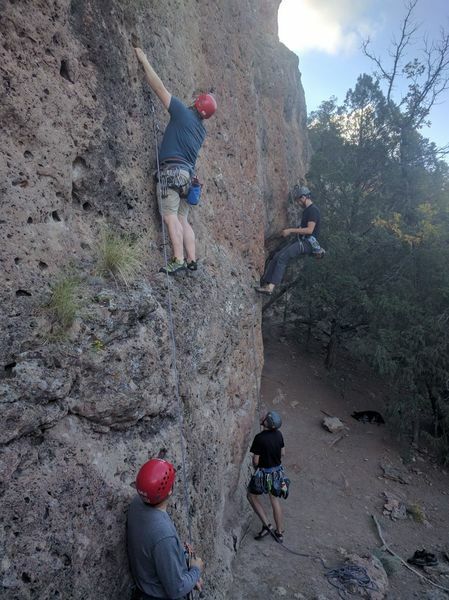 If you have any questions about our policies, the climb school or participating in a climb, please contact the Climb Chair at nmmcclimbing@gmail.com.